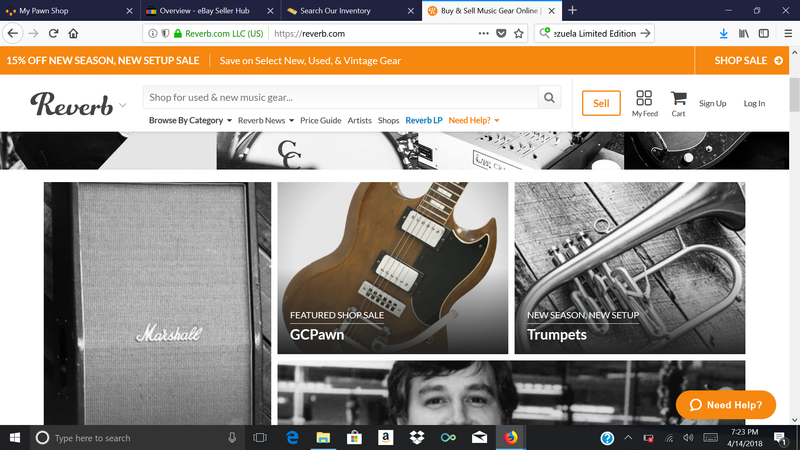 Since GCPAWN created it's own Point of Sale System, our musical related inventory has been directly integrated with Reverb.com one of the most popular Musical eCommerce sites. With over 400 items listed and available for immediate checkout, Reverb has made GCPAWN a preferred seller and featured on their home page. Over the next week we are offering 15% discounts on ALL musical related items on our Reverb store front. Moving forward all of our musical related items will be listed on Reverb daily in conjunction with our eStore, eBay, Bonanza and other eCommerce sites. Take advantage of this discount while it lasts!